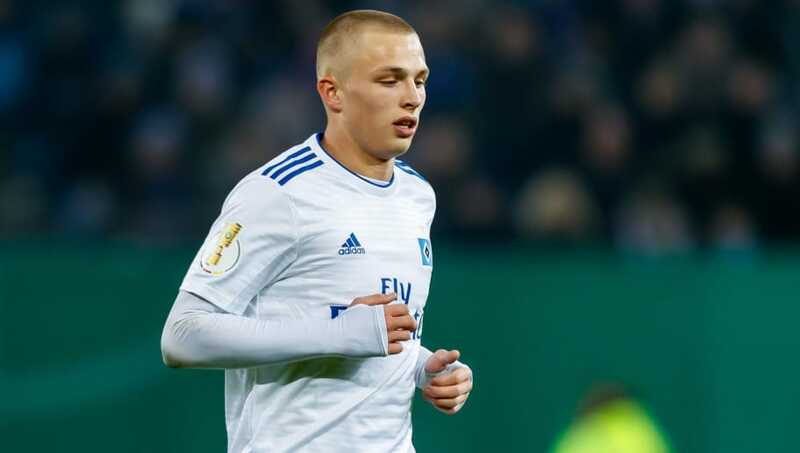 Hamburger SV striker Jann-Fiete Arp has reportedly already signed a contract with Bayern Munich following his breakout season in the Bundesliga. The teenager scored two goals in his first three appearances in the top flight, and reports coming out of Germany claim that Arp signed a deal with Bayern Munich once Hamburg's relegation to the second tier was confirmed last season. Arp is still largely unknown among fans across the continent even though he's been linked with moves to Europe's biggest clubs for some time, so here's five things to know about the soon to be Bayern Munich striker. Jann-Fiete Arp still hasn't found out how to make a name for himself since making the step up to senior level like Timo Werner or Marco Reus have in years gone by, but the 19-year-old's record outside of Hamburg's first team speaks for itself. Arp has a goal per game ratio with Hamburg II as well as their Under-19 side, but his biggest success came at Under-17 level where he scored 37 goals in 45 appearances. The Hamburg star never actually scored for Germany's Under-16 side in four appearances, but he quickly became the talk of Die Mannschaft's future thanks to his record at the next level up. Arp scored 18 goals in 19 appearances with the Under-17s - he made his debut for them at 16 - which included two hat-tricks against Bosnia & Herzegovina and Ireland at the 2017 European Under-17 Championship. He finished just behind Lyon's Amine Gouri in the race to become the top goalscorer at the tournament in Croatia, where Jadon Sancho was crowned as the best player. Months before Arp ever stepped foot onto the pitch with Hamburg's senior side he was being linked with a move to the Premier League. Chelsea started scouting Arp in 2016 and were tipped to make a move for the Germany Under-19 international early in the summer window the following year. He was also said to be attracting interest from Borussia Dortmund, but Arp eventually signed a new contract with Hamburg which runs until 2020. 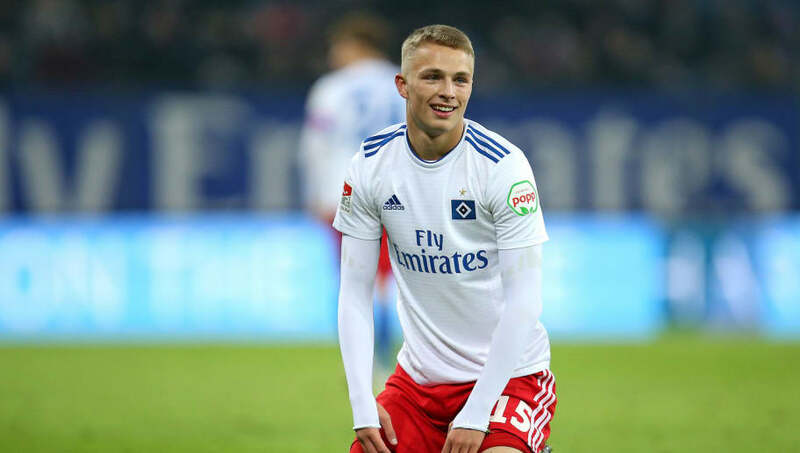 Jann-Fiete Arp made his Bundesliga debut in the Nordderby against SV Werder Bremen, coming off the bench for a one-minute cameo as Hamburg were held to a goalless draw at the Volksparkstadion. Just 17 minutes into his second appearance for Hamburg, Arp scored his first ever goal for Der Dino with an instinctive volley in the club's 2-1 defeat away at Hertha BSC. One week later, Arp's first goal in front of his home crowd rounded off the scoring in a 3-1 win over VfB Stuttgart. The striker's goalscoring form has appeared to dry up somewhat since then, however, as that was the last time he scored a league for Hamburg. Arp's flying start to life with Hamburger SV actually meant a lot more than just to those fans in northern Germany. Stepping onto the pitch against rivals Werder Bremen meant that Arp was the first ever player born since the turn of the millennium to take to the field in Germany's top flight. 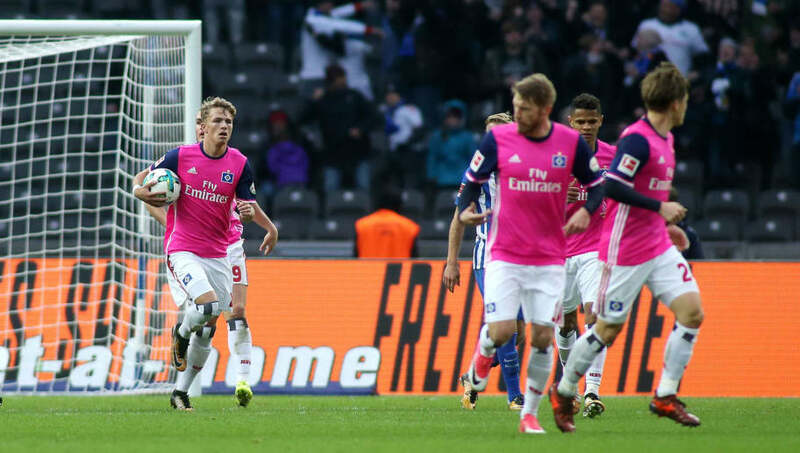 And yep, you guessed it, his first goal for Hamburg almost one month later was the first from any player born after 2000 in the Bundesliga, although he was still a few months off breaking Nuri Şahin's record as the league's youngest ever goalscorer.